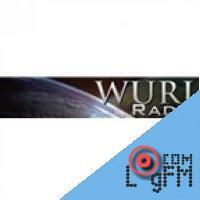 Description: WURL (760 AM) is a radio station broadcasting a Religious format. Licensed to Moody, Alabama, USA, the station serves the eastern area of the Birmingham metropolitan area. The station is currently owned by The Bill Davidson Evangelistic Association. Advertising: . At LogFm.com you can listen to any of the 45,000 radio stations online. We have made it easy for you to find your favorite radio, listen to the music you like, find the best new songs, listen to the latest news, etc. Simply type the station name in the search box and enjoy your choice. Listen to the radio online at LogFm.com. Our E-mail: info@logfm.com. Live WURL-AM (Where You Are Loved). Rock and pop music, to listen to the latest news online.All rights reserved. 2009-2019 © LogFm.com.